There would be a strong case for the assertion that C.S. Lewis (1898–1963) has been the most celebrated Christian apologist of the second half of the twentieth century. Even into the twenty-first century Lewis’s popularity shows no sign of diminishing. 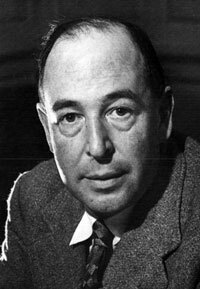 His war-time radio broadcasts, which aired in 1942–1944, were published in book form as Mere Christianity, which has proved enormously influential. His other books have also found themselves onto the bookshelves of many Christians, notably The Problem of Pain, The Screwtape Letters, Miracles, The Four Loves, The Abolition of Man, and Letters to Malcolm, as well as the seven Chronicles of Narnia and his science fiction trilogy (Out of the Silent Planet, Perelandra, That Hideous Strength). Even The Pilgrim’s Regress, which Lewis later came to regret somewhat, is applauded by J. I. Packer as ‘the freshest and liveliest of all his books’, and the one that Packer has reread more often than any other.1 For logic, beauty of expression, command of the English language, honesty, earthy wit, and imagination, few writers can equal Lewis—or come near him. Later in life, Lewis appears to have shifted in a direction that was more biblically orthodox. Later in life, Lewis appears to have shifted in a direction that was more biblically orthodox. One of his last essays, Fern-seeds and Elephants, is quite a devastating critique of the acceptance of Modernist theology in the Church of England. Lewis’s final sentence is particularly barbed: ‘Missionary to the priests of one’s own church is an embarrassing role; though I have a horrid feeling that if such mission work is not soon undertaken, the future history of the Church of England is likely to be short.’7 Overall, Lewis never regarded himself as a theologian; his strengths lay in his wonderful command of prose and in his clarity of thought. Adam was, from the first, a man in knowledge as well as in stature. He alone of all men ‘had been in Eden, in the garden of God, he had walked up and down in the midst of the stones of fire’. He was endowed, says Athanasius, with ‘a vision of God so far-reaching that he could contemplate the eternity of the Divine Essence and the coming operation of His Word’. He was ‘a heavenly being’ according to St. Ambrose, who breathed the aether and was accustomed to converse with God ‘face to face’. Significantly, this attacks the claims of evolution as a philosophy rather than as a science. C.S. Lewis (1898–1963), The Business of Heaven, Fount Paperbacks, U.K., p. 97, 1984.